Persis Khambatta is currently a fellow with the Wadhwani Chair in U.S.-India Policy Studies at CSIS. Her principal areas of research include India’s economic development; political affairs; foreign aid; energy and infrastructure development in India; education and skill building; innovation; and increased access to opportunities for India’s youth. Previously, she was a program officer for the Asia Foundation in Washington, D.C., where she was responsible for designing and implementing programs in Washington and Asia with a focus on South and Southeast Asian affairs. 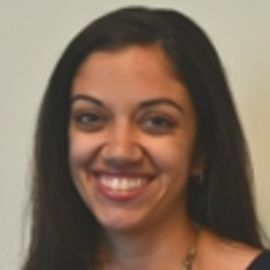 While in that position, she worked on exchange programs between the United States and Southeast Asia, worked with visiting fellows from the Ministries of External Affairs of India and Vietnam, and conducted research and designed programs on emerging issues of interest to U.S. and Asian policymakers. She also helped develop the America's Role in Asia Project in 2004, a set of recommendations from U.S. and Asian scholars and policymakers for the U.S. Congress and administration. Ms. Khambatta lived in Mumbai, India from 2007-2010. Prior to the Asia Foundation, she worked at the National Endowment for Democracy. Ms. Khambatta holds a M.A. in international affairs from the Elliott School of International Affairs at the George Washington University and a B.A. in political science from the University of California at San Diego.